The film adaptation of EA’s successful racing franchise is already panned by critics. EA’s racing franchise will see the release of its first major motion picture tomorrow with the release of Need for Speed, directed by Scott Waugh and starring Breaking Bad’s Aaron Paul as a street racer out for revenge. Unsurprisingly, it’s already garnered negative reviews – a quick look at the film’s Metacritic score shows a 37 out of 100 rating, indicating a very negative reaction. 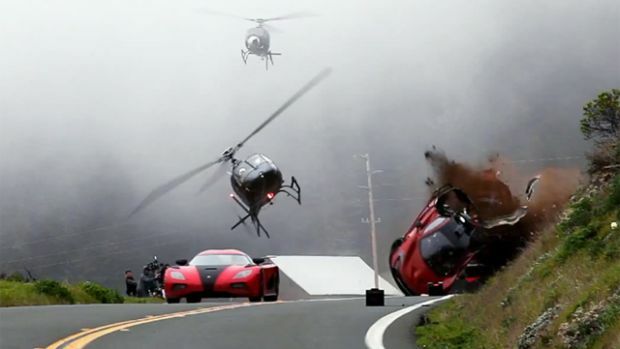 The overall box office performance may tell a different story – it IS Need for Speed after all and there are a fair number of individuals who will hop on to a fast cars movie, regardless of how hopelessly bad it is. Stay tuned for the initial weekend box office results.